We spent a lot of time on Captain America: The Winter Soldier last week. At the end of the day, how did it turn out? I'm pretty much in accord with the Novel Ninja, or Howard Taylor. However, I disagree that while the villain is simple, I don't even think we need to have his motivations. It's a long story, but self-explanatory when you see the spoilers below. Some things not mentioned in either review. There is the return of Peggy Carter -- yes, the British love interested from the first Captain America. And it is possibly one of the most heartbreaking scenes in the entire film. And that was from the first twenty minutes. I seriously hadn't expected tears from a Marvel film. Really, I hadn't. I'd like to know how much money did they pay Gary Sinese to be the narrator for a Captain America exhibit at the Smithsonian. If you thought that Nick Fury didn't have much to do in the other films, or wasn't all that much of a badass, this is the movie where you get to see just how many people it takes to get the drop on Nick Fury. Answer: more people than the bad guys have at their disposal. 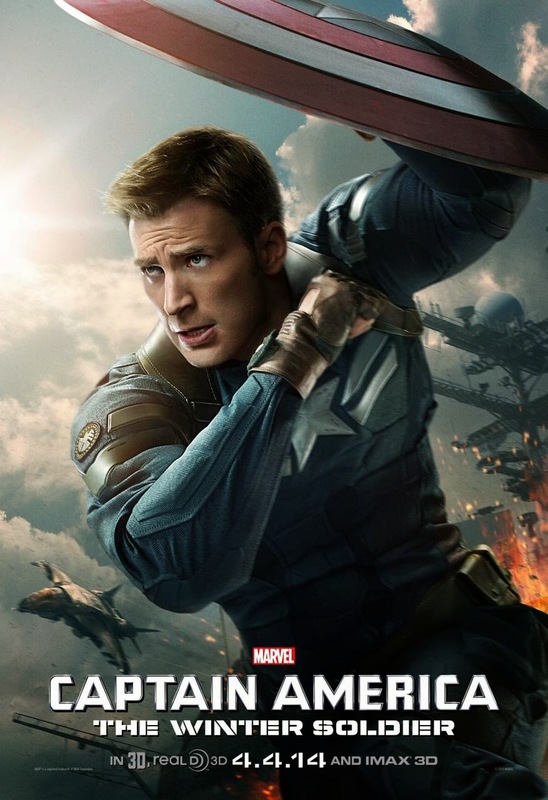 Also, they had a GREAT setup for Avengers 2, as well as Cap 3, while maintaining its own self-contained main plot. There might also be a Black Widow spinoff, and maybe one other. And the Falcon? Totally awesome. He steals every scene he's in, and might have been able to steal the movie. I also loved how he knew what Steve Rogers was thinking solely on the basis that they'd both been in war zones. Also, Agents of SHIELD is screwed. SPOILERS AND CONFIRMATION OF SPECULATION. How much did I get right last week? Nick Fury doesn't stay dead. Color us all shocked. In fact, I think this film might be a setup for a Nick Fury movie, where Sam Jackson can say the line "Screw you, David Hasselhoff." Black Widow kissing Captain America is about surveillance. Check. Robert Redford as bad guy? Check. Is he the Red Skull? Nope. He is HYDRA, however. Because this is Captain America. Like Hellboy, there are always Nazis. Yes, he is talking to the Winter Soldier in the trailers. There was NO Red Skull in this movie. At all. But Dr. Zola does make an appearance, and that was interesting. We have a little bit more of Black Widow's backstory in this film, but not a lot. The movie continuity still has Natasha as a member of the KGB, but ScarJo is 28. When the USSR fell, she was SIX. I felt I was stretching it when Manana Shushurin was involved with them at age ten. Yes, Agent 13, who is only identified as "Sharon," has a part to play in this movie. Though it's not as big a reveal as I thought it would be. Seriously, I expected it to be a surprise twist, and not so much.